ShadowLine detail (also known as Negative detail) adds a modern finish to door jamb liners. The timber jambs are manufactured so as to aid the builder in finishing the jamb detail with a small 10 x 10mm rebate around the jamb liners. This popular detail is made easy with a ShadowLine unit. 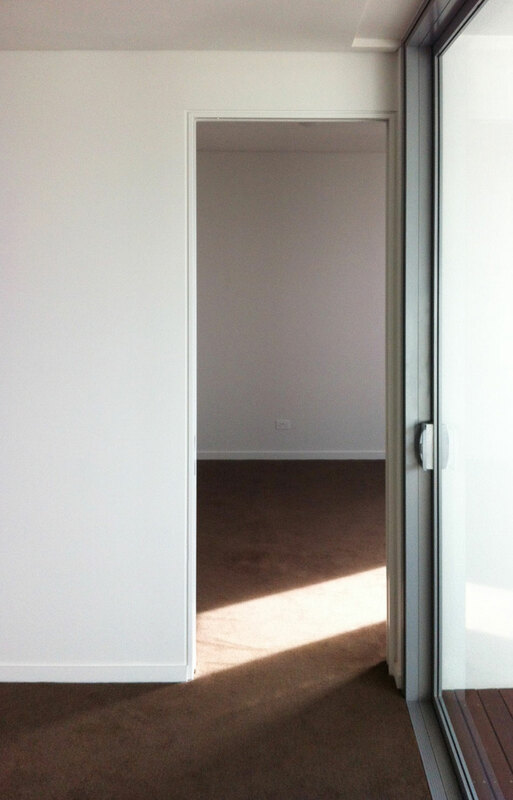 If timber jambs are used, the jamb can be supplied with a non-standard return. Wall linings are run up to within 10-13mm of this return to create a negative detail. If required, a ‘Z’ mould can be used. 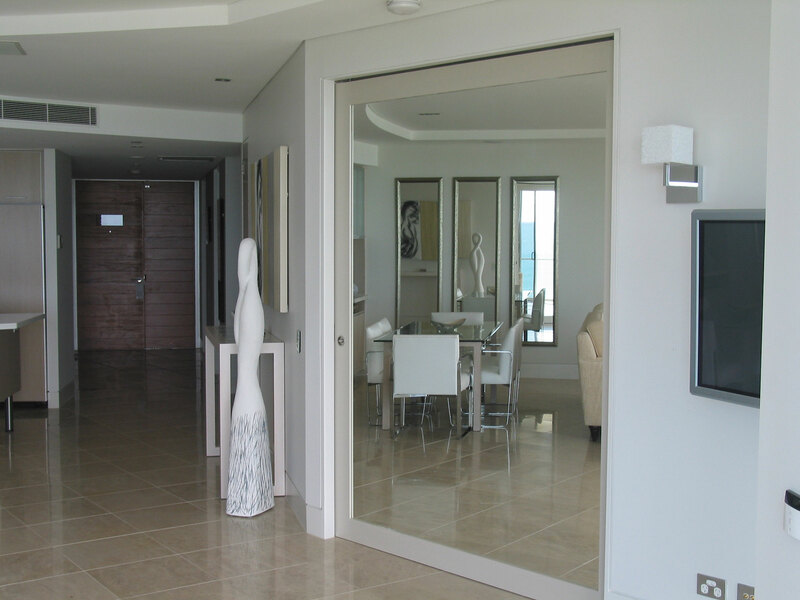 If aluminium jambs are used then two layers of plasterboard are required to create the detail. The first acts as a packer (13mm) and the second creates the detail. 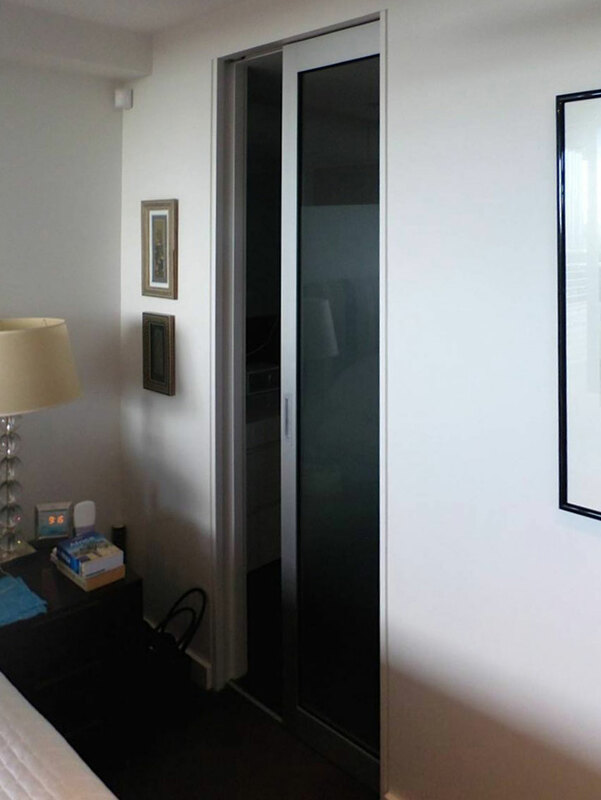 The jambs are supplied with a reduced face width so that the overall jamb width matches the finished wall thickness. ShadowLine detail is available with most CS Cavity Sliders and CS Wardrobe Sliders. 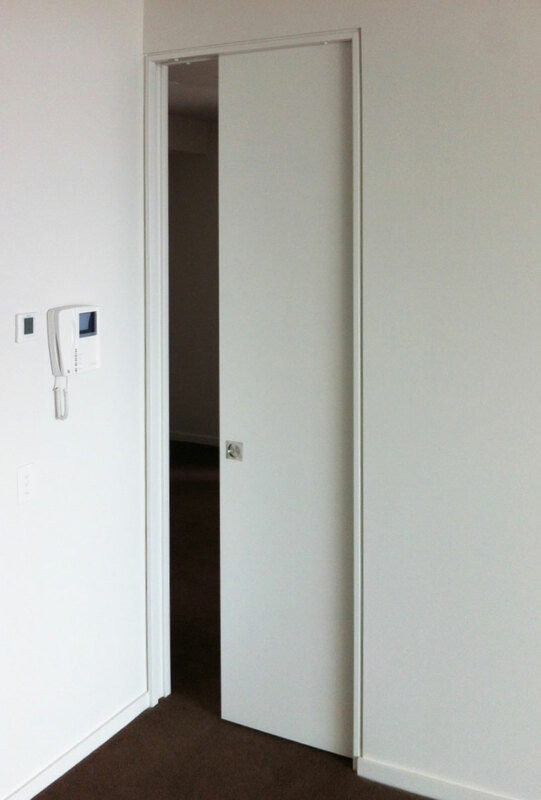 Minimalist detail allowing for a flush finish at the wall where the door closes.